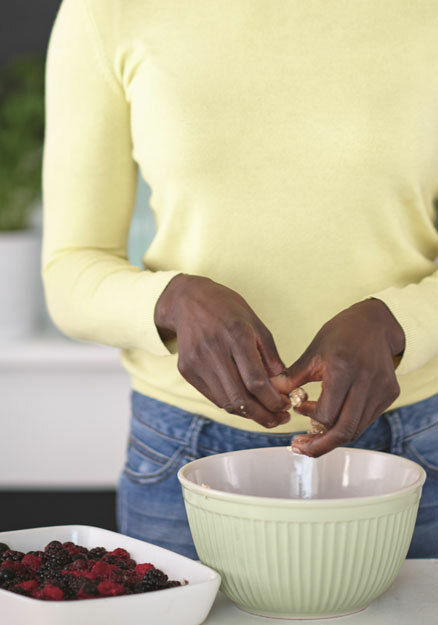 Last August saw the launch of TV chef, Lorraine Pascale’s latest recipe book; ‘Eating Well Made Easy’. Books remain one of the most discussed topics across social media, and publisher HarperCollins sought to capitalise on this potential, generating awareness of the title. Looking to create a buzz around the book’s launch – taking advantage of HarperCollins’ promotional video – our teams used a combination of highly cost-effective YouTube ads and Facebook activity to reach the widest possible interested audience. Our YouTube activity alone generated nearly 200,000 video views from close to 4 million impressions… the targeted audience of foodies and cooking enthusiasts clicked through to order their copy over 6,000 times. Following the clean aesthetics of ‘Eating Well Made Easy’, our Facebook click ads, integrated app on the HarperCollins page and YouTube ads were optimised to capture the interest of a specifically targeted demographic and deliver exceptional ROI. Using YouTube’s ‘in market audiences’ proved vital in the success of HarperCollins’ promotional video, enabling us to effectively target not only those with an interest in cooking videos, but also cooking products and recipes. To create as much buzz as possible in the run up to the book launch, our Youtube ads were supplemented by significant Facebook activity in the shape of an integrated app on the HarperCollins page. Giving fans of the publisher the chance to win a Nutribullet and a signed copy of the new release, the 3 week long campaign received over 1,300 entries, driving sales via 688 clicks to the Amazon product page and capturing close to 1,000 email opt-ins for future marketing efforts. In support of both the YouTube video and Facebook app, our teams created a range of carefully crafted Facebook ads, in addition to a simple timeline competition, which alone succeeded in reaching an audience of 18,000. But it was the Facebook click ads and campaign ads that really stole the show, reaching a cumulative and highly targeted audience of close to 500,000. This statistic is in addition to a further 2,800 Amazon clicks and more than 500 clicks to the Nutribullet app. No book launch is successful without a huge amount of hype, and our campaign didn’t disappoint, ensuring an impressive increase in awareness, as well as a measurable return on investment from clicks to the book’s Amazon product page.